Are you having trouble paying your mortgage? If so, you may fear that you're facing foreclosure. The good news is your bank doesn't want to foreclose on your home either. The problem is not only serious for you, but it is also a big expense for your mortgage lender. Allow Stephen F. Cashman Attorney at Law to provide comprehensive foreclosure defense. For many years, our law office has been committed to giving clients a fighting chance in keeping their homes. Restore your peace of mind, and let our experienced attorneys help you save your home. You saved money to buy the home of your dreams. Don't lose it all now. Our foreclosure attorney can provide better solutions for you. Along with loan modifications, mediation services, bankruptcy filing, and other foreclosure defense options, we offer proven ways to manage your debt, satisfy your lender, and keep your home. For a free consultation with our lawyer, simply contact our law firm for personalized and professional services. Trust a seasoned foreclosure attorney who looks out for your own interests. Your loan or mortgage financier is part of a larger organization. More often than not, their primary goal is to make and keep money – often to your disadvantage. Give yourself a fighting chance by letting us stand up for you. Our legal team looks into the finer details of your mortgage to negotiate fairer terms for your agreement. As a result, you can get a fresh start on your repayments, earn a better credit score, and stay on track for financial stability. You never have to face a foreclosure alone when you work with us. Our experienced foreclosure lawyer has helped others keep their homes, and we have the expertise to help you as well. 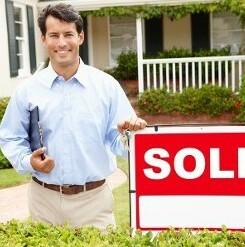 Protect your investment and your right to live in your home with the help of our team. 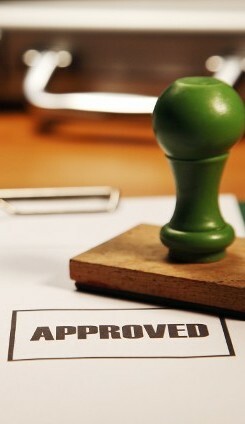 We guide you through the entire legal process so you are able to accept reasonable terms related to your foreclosure. Life is often unpredictable, and extenuating circumstances can easily prevent you from making a mortgage payment on time. Fortunately, our foreclosure lawyer is at your side to negotiate your debts and repayment schedules. Remember, the laws are put in place to protect you as a consumer. You may actually qualify for loan forgiveness programs or additional assistance to help you get back on your feet. Our experienced and resourceful lawyer works hard to ensure you know about these options, should you qualify. As always, our team looks out for your best interest. The bank is pressuring you, your bills are piling up, and you have nowhere to turn. You have a realistic option when you need to stop foreclosure. A loan modification allows you to modify the terms of your loan and reduce your monthly mortgage payments. However, it is important that you consult our loan modification attorney before making a decision. When you seek our assistance, we make sure the new terms of your loan represent your needs fairly, and not just your lender. A loan modification is similar to getting a new start on your mortgage. When you and your lender have found that the current terms of your loan cannot be met, you have the opportunity to negotiate more reasonable terms on your repayment. As a result, you may qualify for lower interest rates or re-amortization. Since loan modification is essentially a new contract, it is important to speak with a loan modification lawyer to ensure you completely understand your obligations. Don’t enter an agreement that only benefits your lender. Our loan modification attorney can look over the pending terms of your new agreement to ensure your needs are addressed fairly and completely. We review the details so you can enter your new agreement with confidence. Our loan modification attorney has more than 30 years of experience in the field and can answer any of your questions about the process. If you are starting to fall behind on your mortgage payments, then contact our foreclosure lawyer for prompt services. We offer trustworthy loan modification assistance that saves your home and puts your finances back on track. Contact us today to learn about our foreclosure defense and loan modification services. Our legal team proudly serves homeowners in Hartford, as well as Bloomfield, New Britain, East Hartford, and West Hartford, Connecticut.